The Freedom task chair by Humanscale was designed for comfort, ease of use and a modern look. With more than 10 design awards under its belt, Freedom works in all office spaces, working seamlessly with the new modern office. The Freedom task chair is comfortable, with good reason. Sitters are fully supported in all sitting positions, as the changing of posture keeps you comfortable and healthy. Arm rests are synchronized with the back rest, working with your movements to keep you comfortable. The sculpted foam backrest matches contours of the body, while the thick gel cushions aid in lasting comfort. 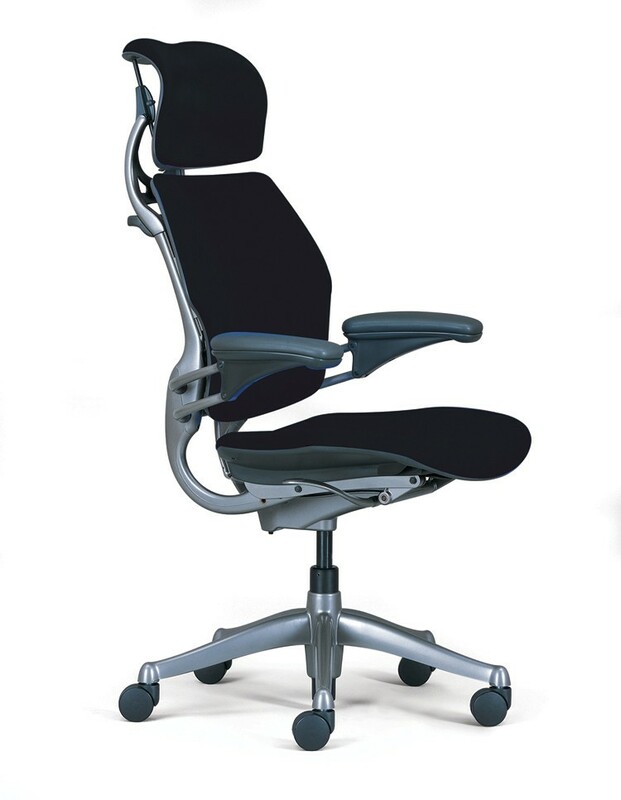 With a headrest option, the neck, back and lumbar are fully supported throughout the day. While there are no knobs or levers to manually adjust the chair, the Freedom does it on its own – using the sitters weigh to recline and flex, this chair is literally made for you. Humanscale designers and chair engineers have thought of everything when it comes to this chair, the support, ease of use and sleek look will work for you in any space needed.